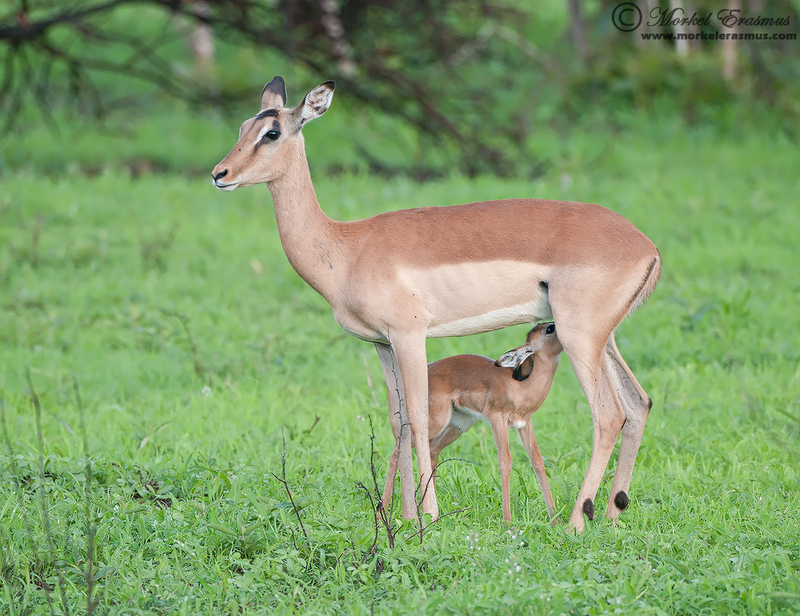 There is a kind of wildlife image that has always spoken to me deeply. If you have been following my photography for more than a month you would have noticed that I often share these kinds of images. I like to call it "The Animalscape". The animal in the landscape. 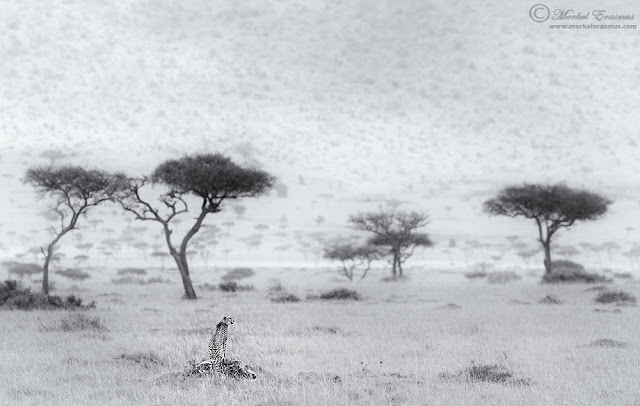 The landscape with the animal(s) in it. 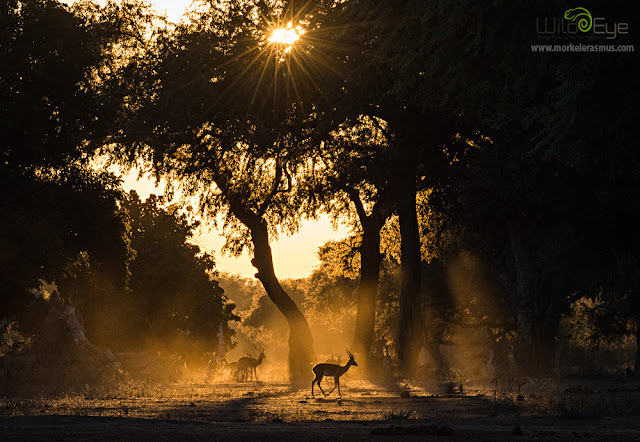 I guess I like it so much on the one hand because it brings together my two preferred photographic genres: wildlife photography and landscape photography. 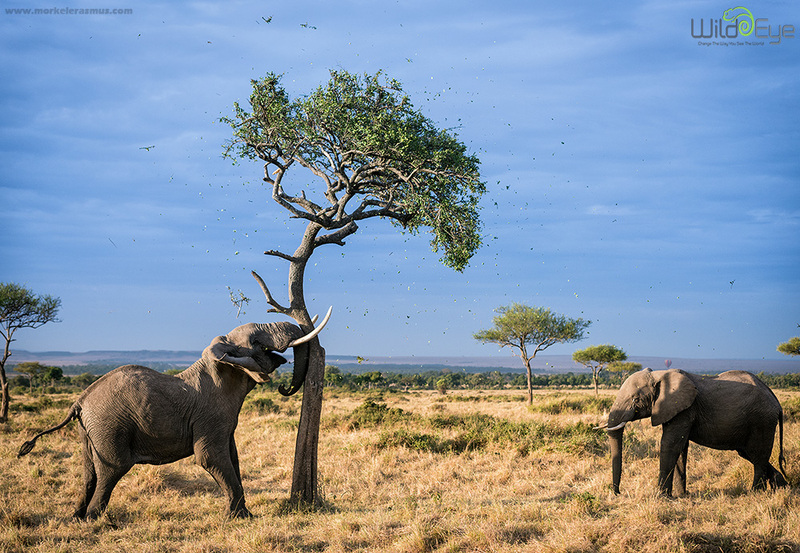 On the other hand, and I think this is the main reason I like it: I think this kind of image paints a better context and story about the wilderness areas of Africa that are so quickly dwindling. 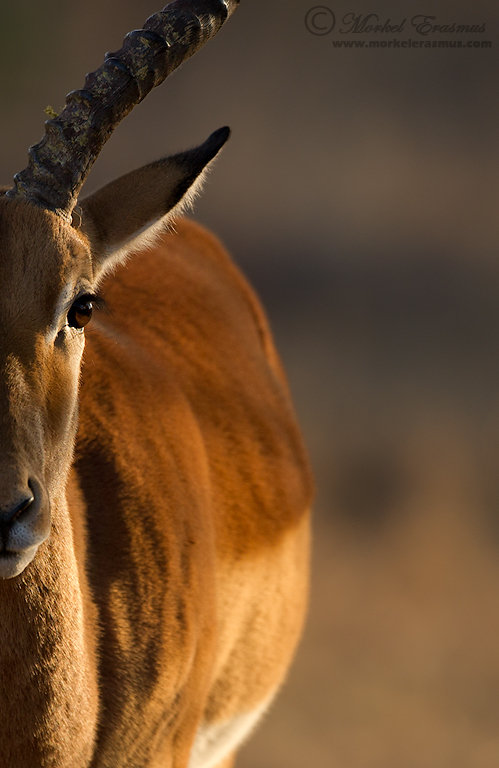 We cannot preserve the wildlife if we don't preserve the habitat. And yet it is futile to preserve the habitat while killing off the wildlife. 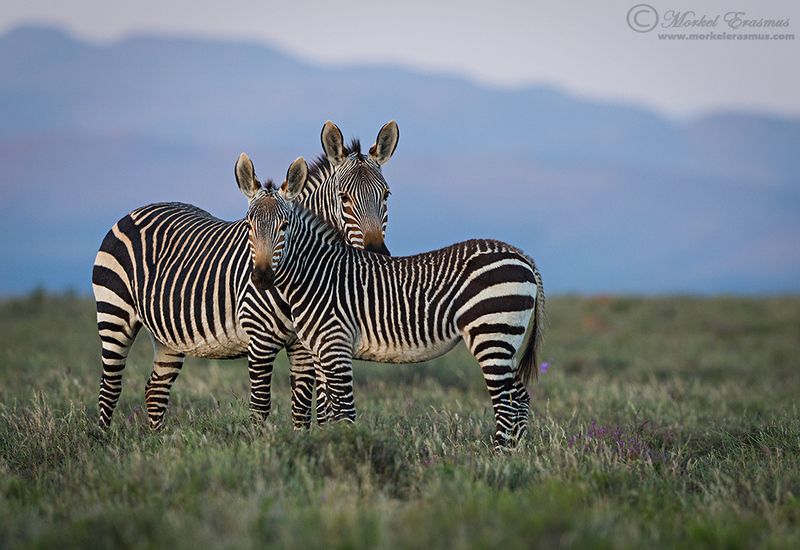 This kind of image is all about telling the bigger story of the the species you are photographing. Where do they roam? Where do they eke out their survival? What other species live around them? What's the weather like? The biggest mistake you can make is to think the only way you can create an animalscape is to use a wide angle lens. 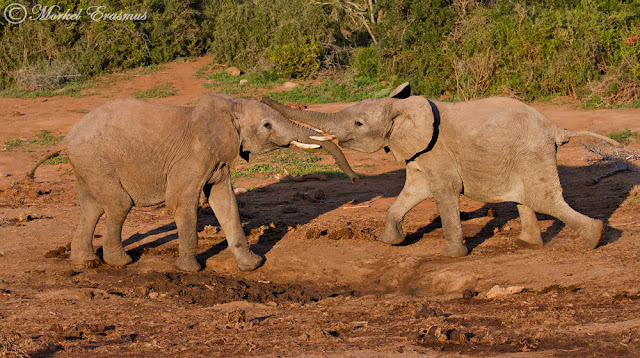 Sure, wider angles work well to show as much of the environment as possible, but you either need a very big subject (think elephant or giraffe) or you need to be super close to the subject. I often use the Nikkor 24-70mm f2.8 lens for these shots. 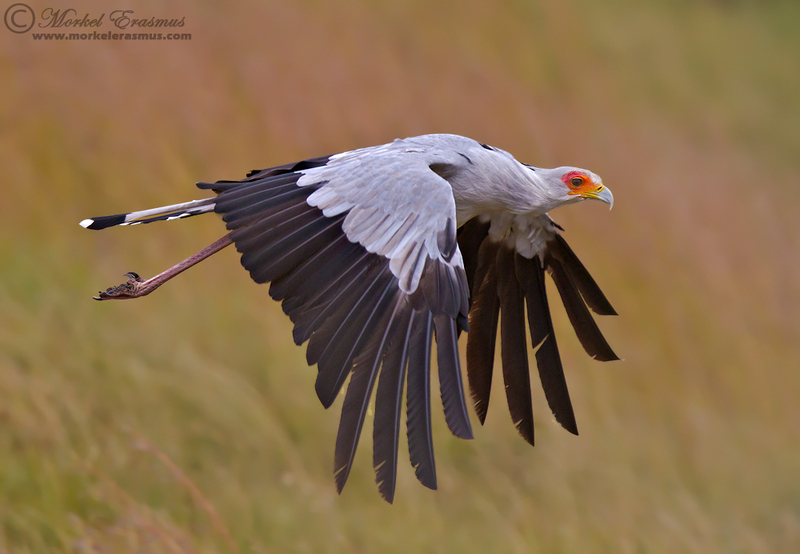 You can't go too wide in most cases for fear of losing the subject in the frame. 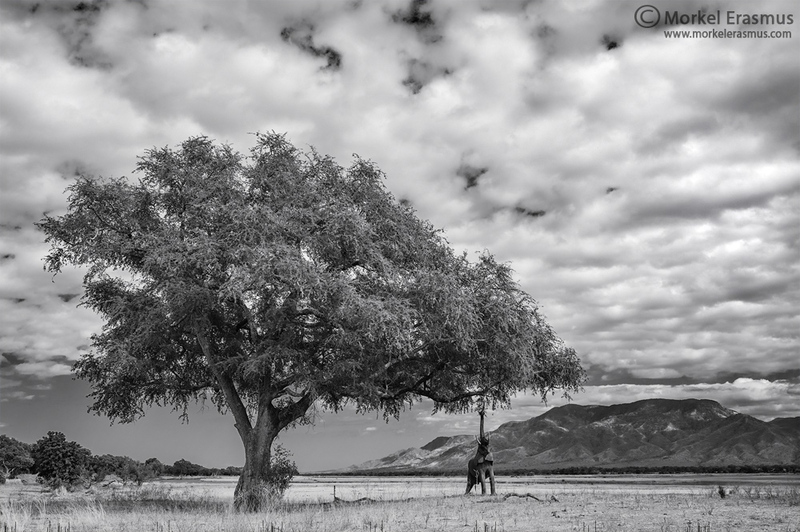 The wide angle emphasizes the extreme depth of the scene, the immense sky, and the elements of the landscape. 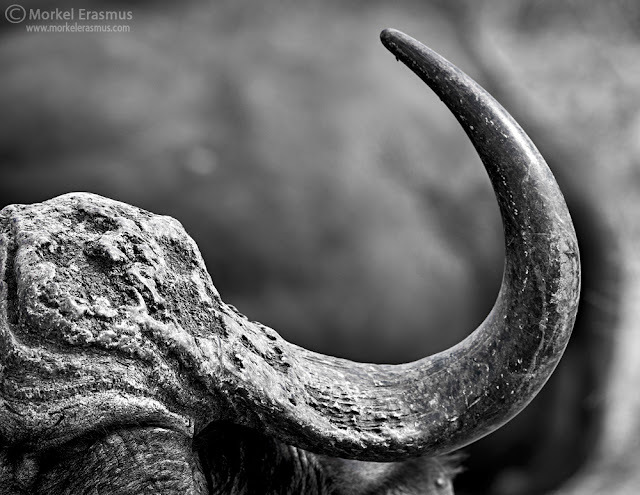 The elephant is just big enough to be a key element in the composition. 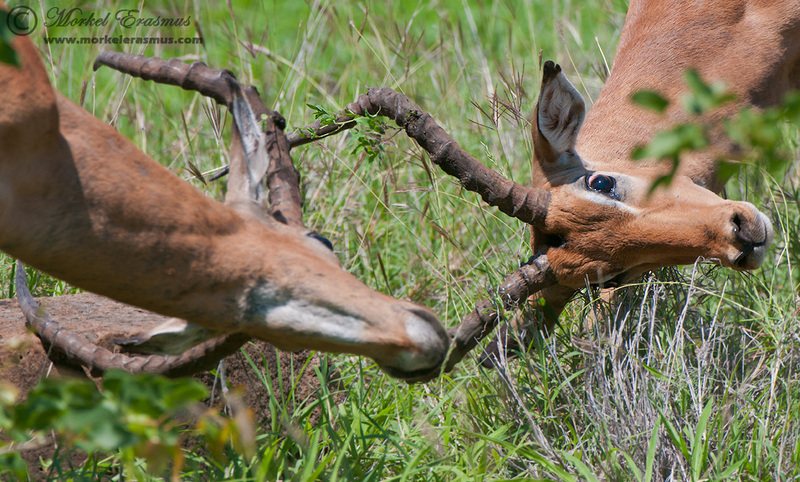 The mid-range zoom lens can often be used for effective animalscapes. For this purpose my go-to lens is the Nikkor 70-200mm f2.8 VR-II, as it's tack sharp through the focal range, and super quick to focus. It doesn't have to stop there, though. 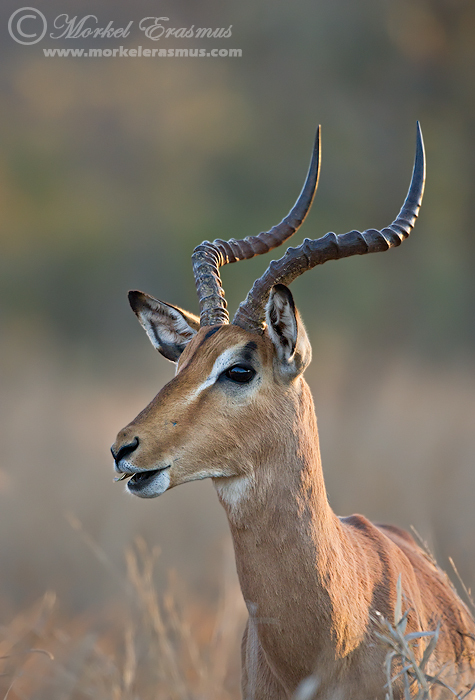 I find it amusing that so many wildlife photographers only feel they are using their super telephoto lenses properly if they can use it to fill the frame with a portrait of the animal's face or full body. If a subject is deemed "too far" the possibility of a workable shot being taken is not even considered. 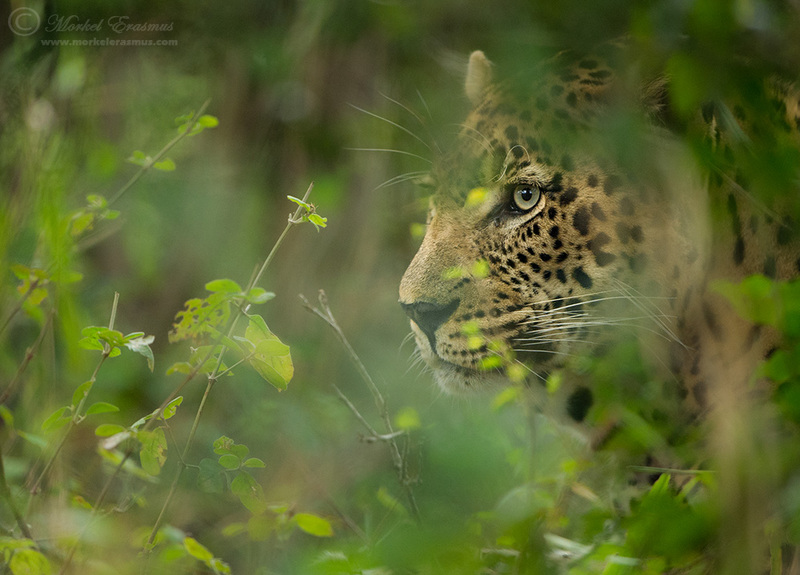 The telephoto compression effect can bring a different element to the animalscape. 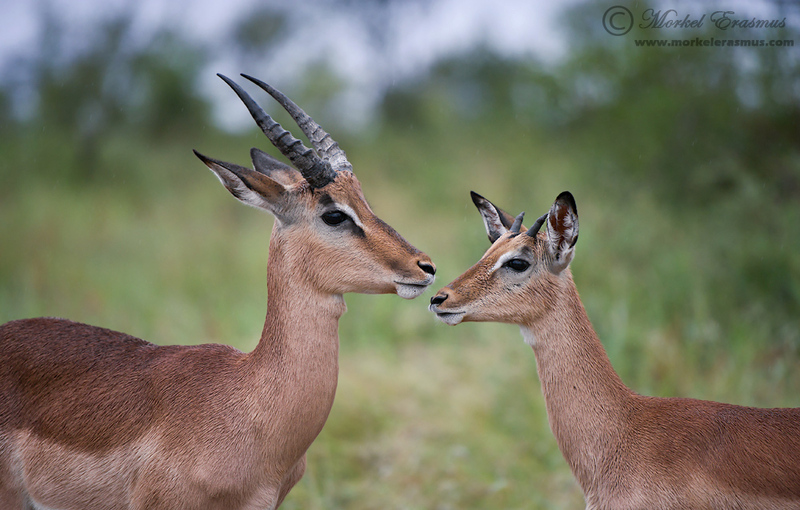 My previous telephoto was the Nikkor 500mm f4 VR-II, which I traded last year for the Nikkor 400mm f2.8 VR-II. You obviously won't include as much of the landscape, but that's not the point. 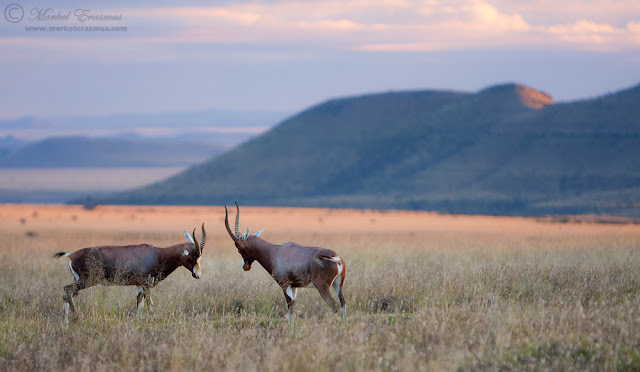 When it comes to producing compelling photos of this nature, I cannot stress enough how important a sense for good composition is to the photographer. You need to be able to include enough AND exclude enough of the surrounding scene to tell the story and "paint" the tapestry as simplistic yet engaging as possible. Study other photographers' work. Study the works of famous painters. Know what the language of composition entails - it's a language that's often not put into words, but comes across as a philosophical aesthetic. I hope this post encourages you to try your hand at more of these kinds of photos. I wish more wildlife photographers would venture for the contextual shot, the animalscape, to show people not just the wonderful wildlife they encounter, but also the amazing landscape in which those animals carve out an existence. Hello my friends! Firstly - I want to wish you a very happy and blessed 2017! It's that time of year, eh? If you follow a plethora of photographers you will no doubt see many of them put out some sort of "best of 2016" image collection. As with previous years - this is by no means an exhaustive list of my absolute top keeper photos of the year. It's rather a collection of moments captured that captures the year in a kind-of-chronological order. Remember that all these photos are best viewed by clicking on them (which opens them up at the native posting resolution). The year of 2016 started off on a hot note - both in terms of photographic opportunity and in terms of real-world temperature. 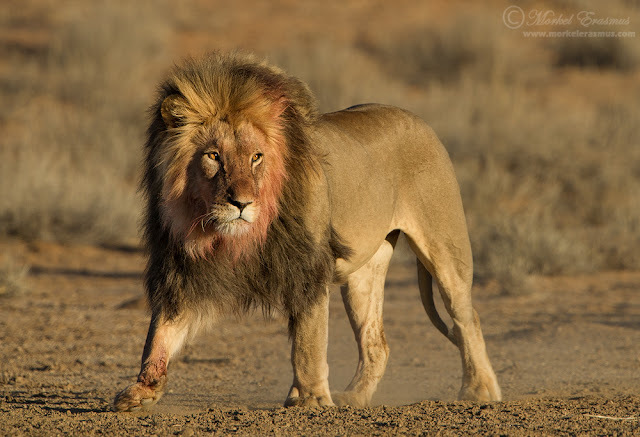 Braving the Kalahari during an immense heat-wave, we were able to experience a couple of key moments. First off was no doubt the leopard that took me 7 years to photograph. This is not a unique photograph, but special to me because of the process and journey to get there. 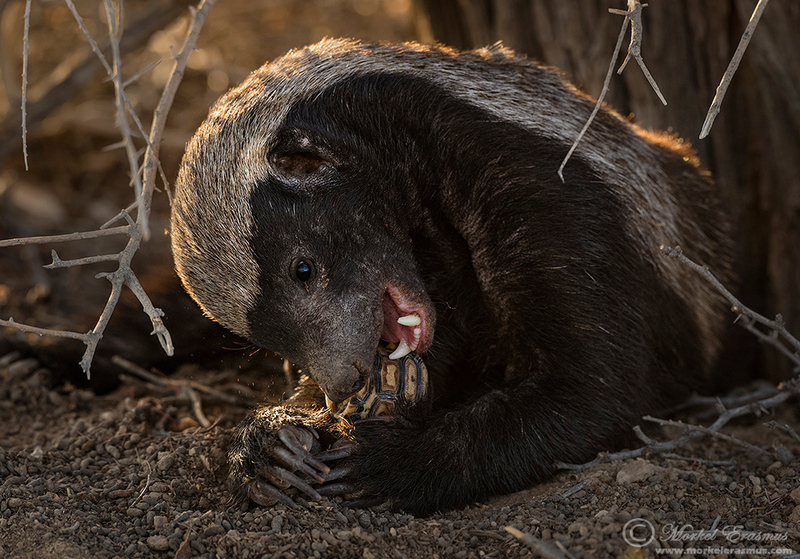 Honey badgers are just awesome. 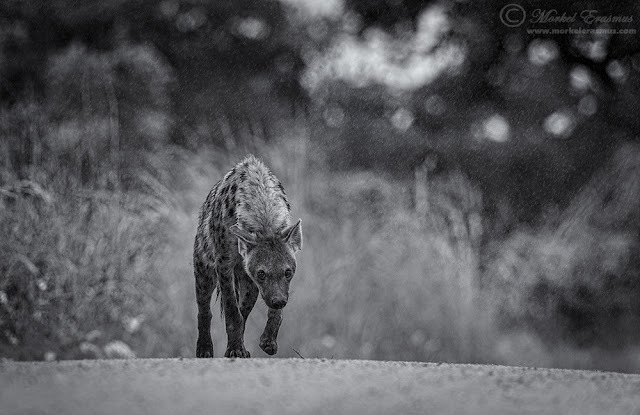 This image was captured while on a memorable father-and-son photographic safari to Leopard Hills in the Sabi Sand area of South Africa. I could have posted a leopard photo, but I quite liked the abstract nature and the textures of this photo. 4. "Down in the Dust"
Elephants have always formed part of my photography. 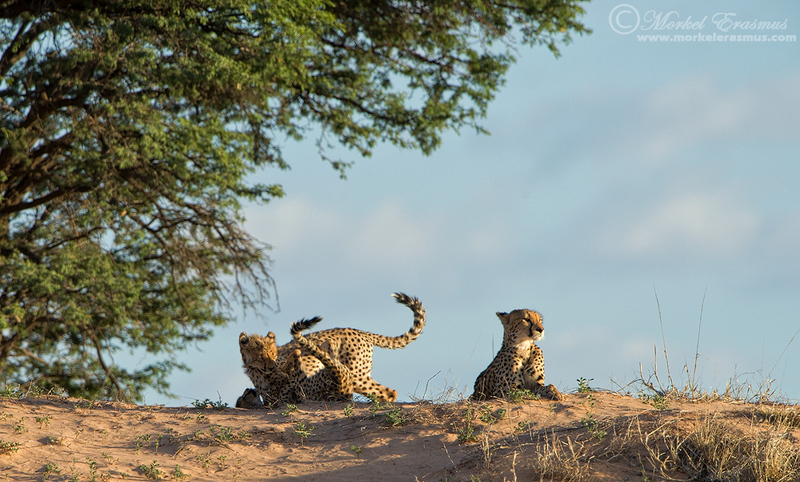 I am just drawn to them - plus they tend to give me better opportunities than for example big cats! 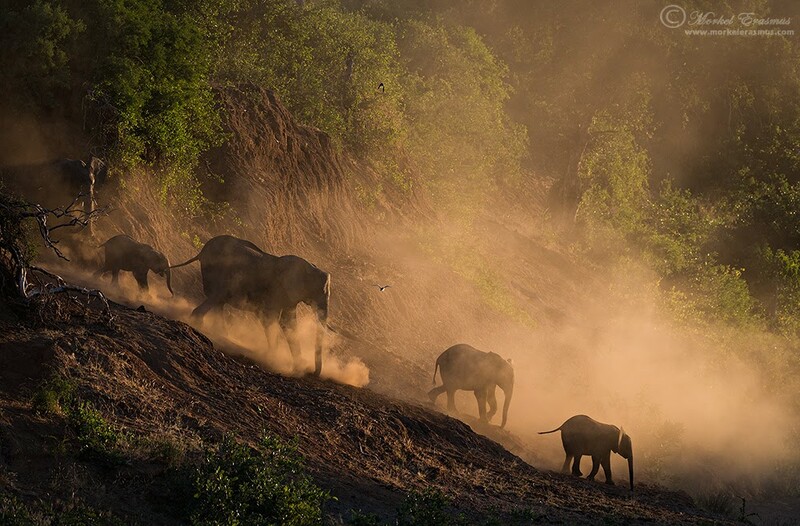 We went on a family camping trip to the far north of the Kruger National Park in the South African winter - and shared some special moments, one of them being this herd of elephants moving down into a dry riverbed, dusting as they go, as the sun set behind them. 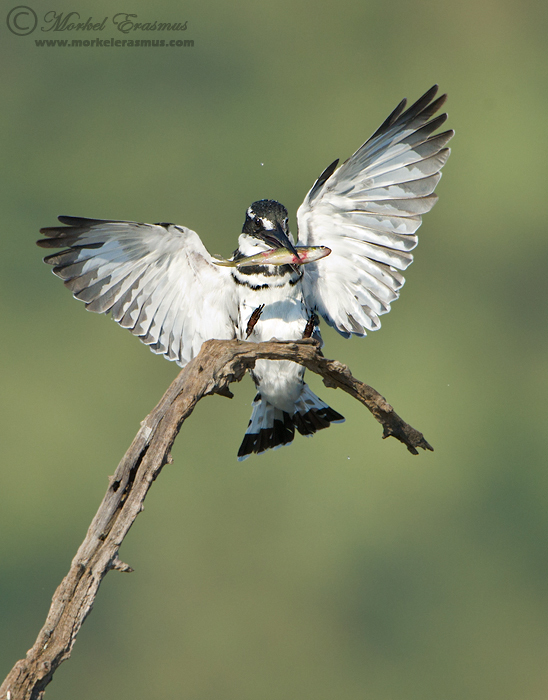 Another trademark of our winter foray to the Kruger was the number of Nile Crocodiles we saw basking on the banks of the Levhuvhu river in the Pafuri region every day. On this stretch we counted nearly 60 individual crocodiles just on the opposite (visible) bank! It didn't make for an amazing photo, but it was an amazing sight and one that my kids duly remember. 6. 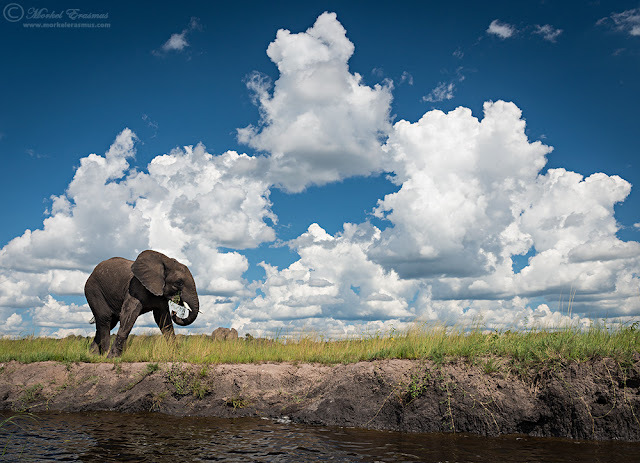 "Feeding along the Zambezi"
Another elephant! 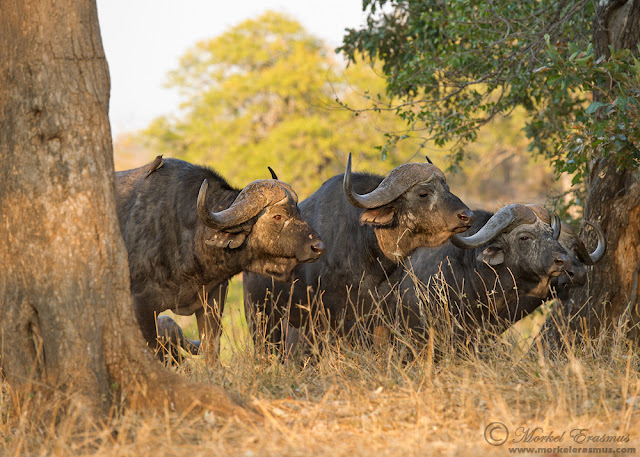 This bull was feeding on the winterthorn trees along the Zambezi riverbank. 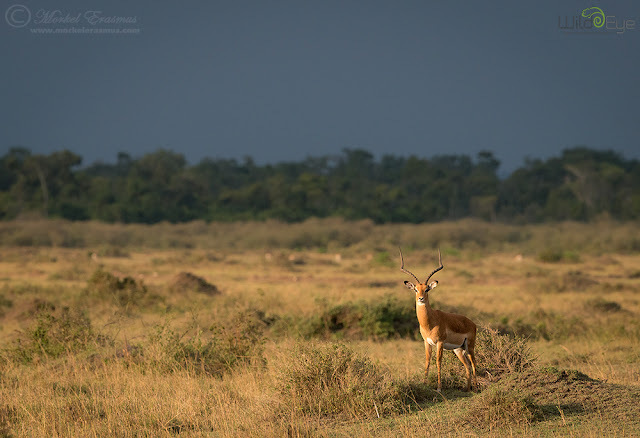 I was hosting a Wild Eye photographic safari to the wonderful location of Mana Pools, and we were able to really work the scene here on a slightly cloudy morning. If you know my work - you know that I am always on the lookout for a chance to include the landscape in the wildlife photo - this is a prime example. 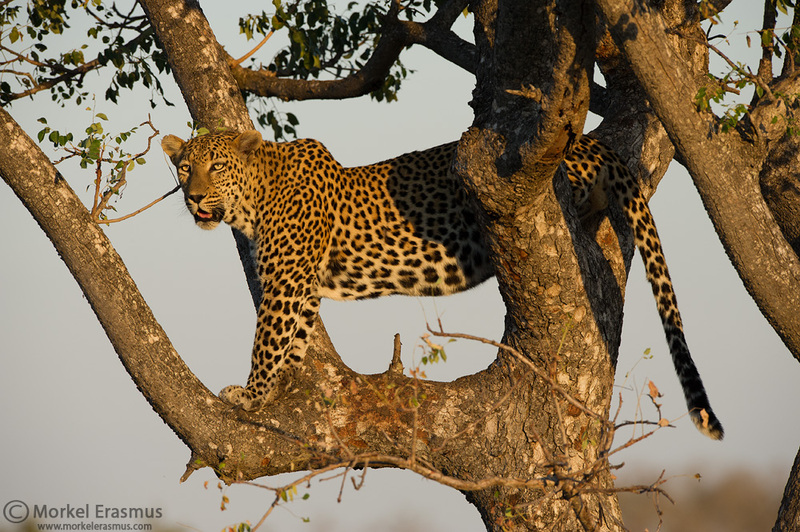 Seeing a big cat kill is high on many a photographer's wishlist. This one was quite unexpected! While watching some mating lions on our Wild Eye Great Migration Safari - the male got up and walked towards a herd of wildebeest in the distance. The herd saw him - except for one individual who was wallowing in the mud. He wallowed a bit too long and the lion was upon him with power before he could escape his quagmire! 9. 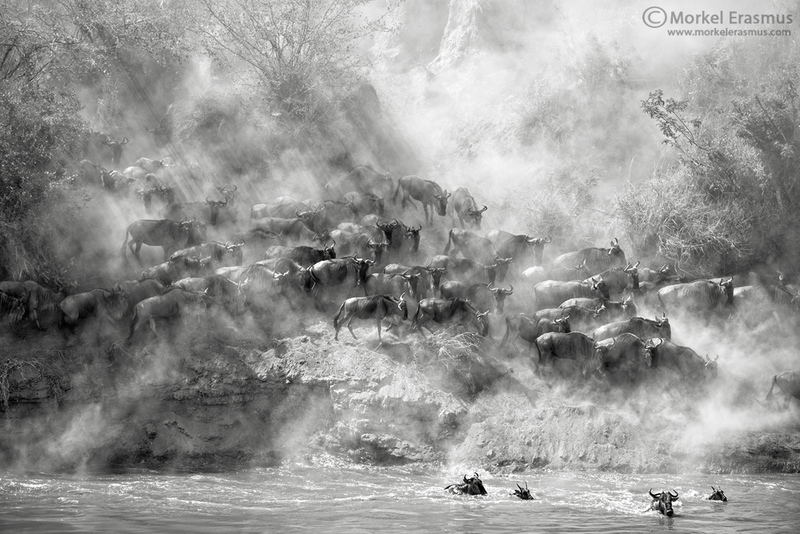 "Chaos at the River"
We saw quite a number of dramatic wildebeest crossings during this year's safari to the Mara Triangle. This is but one moment that I liked in terms of framing, light and mood. This is also the first image I processed with the MacPhun Tonality software suite, and I am thoroughly enjoying working with their apps. 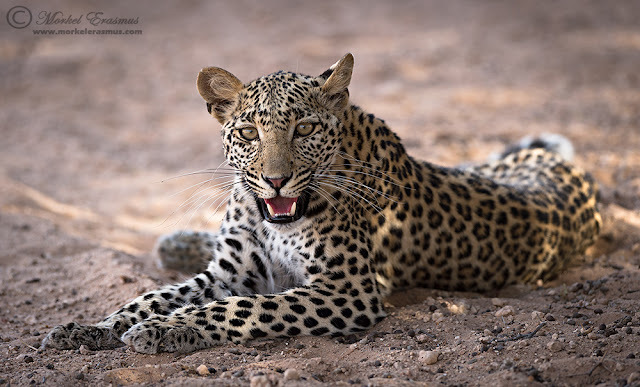 These iconic animals have recently been downgraded to "Vulnerable" on the IUCN Red List of Endangered Species once it became clear how devastating the drop in their overall numbers really are. 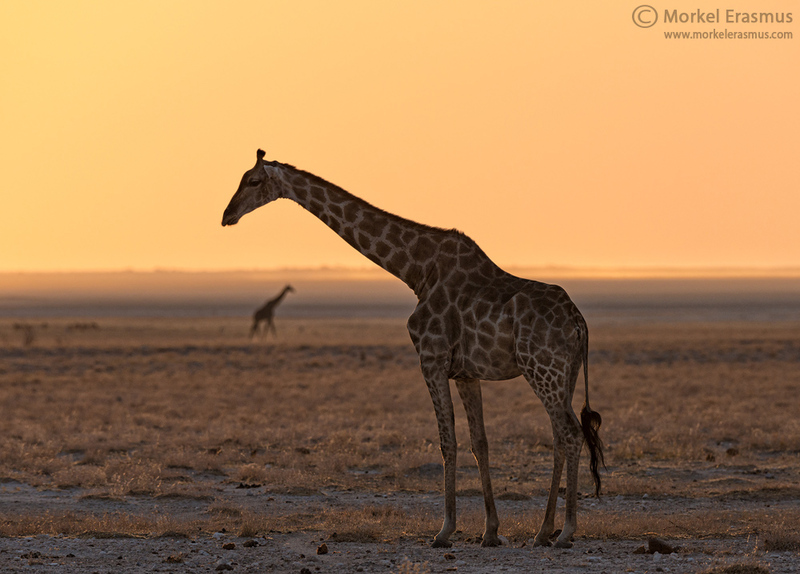 I was fortunate to capture a couple of nice image of giraffes on our family safari to Etosha late in 2016. 11. "Lord of the Land"
There were a couple of photos I'd not had the chance to capture on previous visits to Etosha. The one was a chance to get close to the famous "white" elephant bulls, which I was able to (read the blog post HERE). 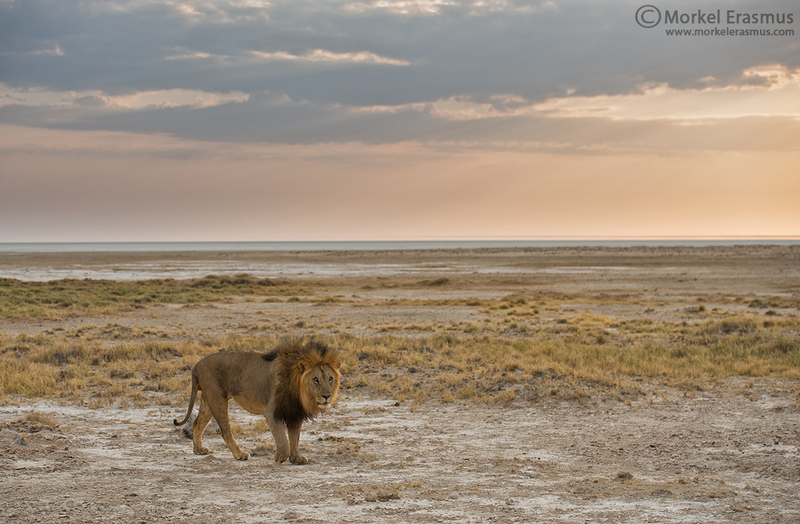 The second was of a male lion against the backdrop of the desolate Etosha pan. Here is one such photo that I was happy with! 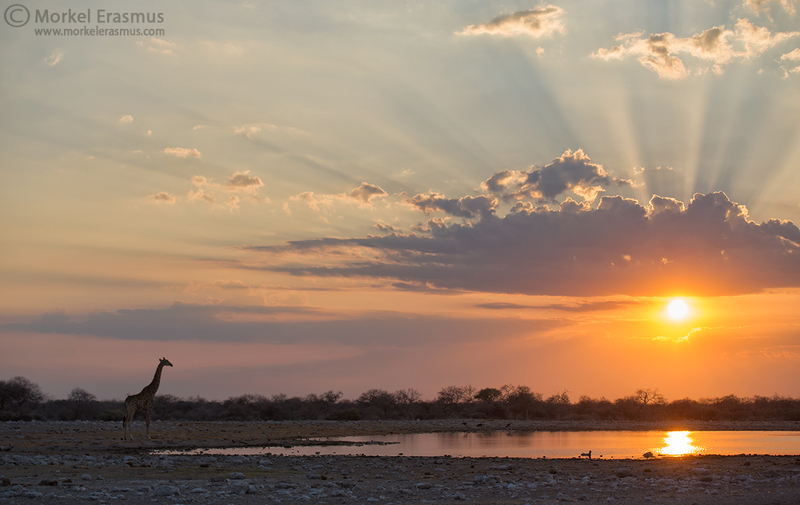 Our trip through Namibia took us to many of the iconic destinations I have desperately wanted to photograph since taking up this art. 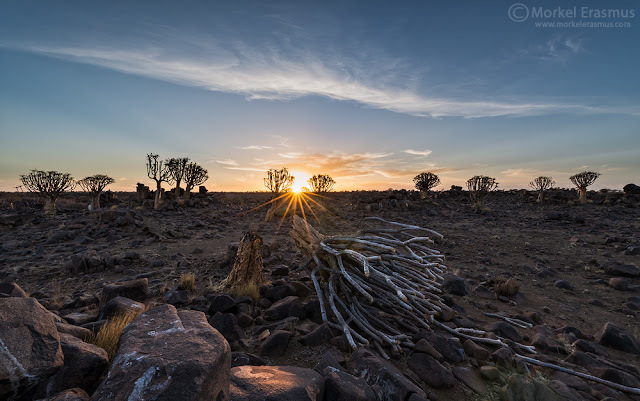 The quiver tree forests near Keetmanshoop provided some interesting compositions to explore. This fallen quiver tree grabbed my attention. 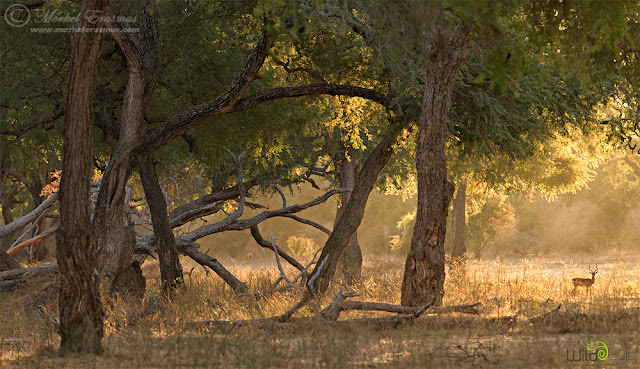 The place that grabbed my soul the most during the trip through Namibia was the isolated, beautiful Namib Rand Reserve. 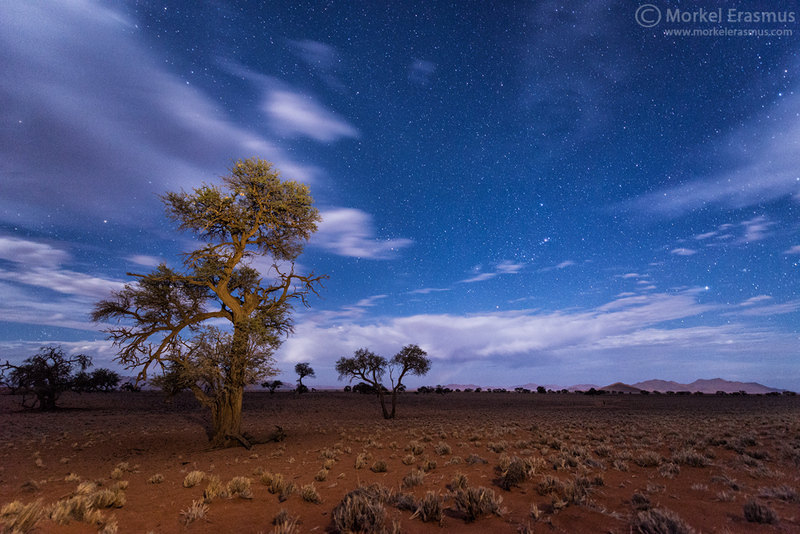 Over 200,000 hectares of wilderness in an arid land, with more stars than you could ever imagine to fathom. The glory of God was on full display, and the silence seeped into your being. This photo was taken when a storm had passed through one night, with some moonlight still bathing the landscape. 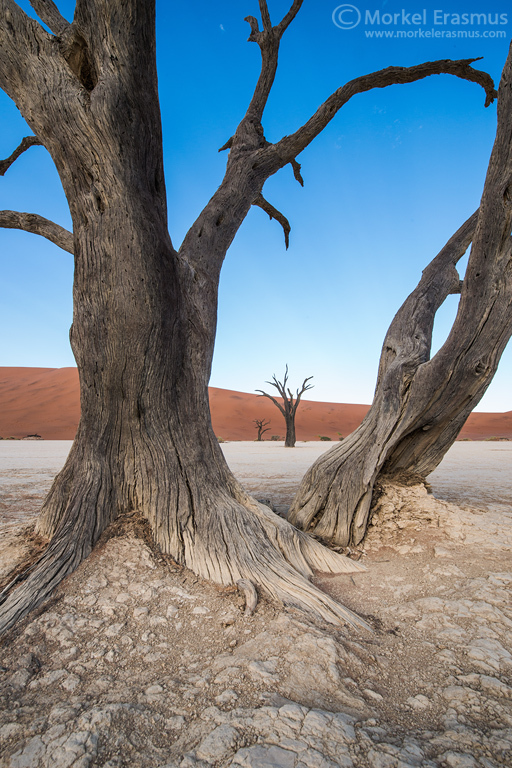 I recently wrote here on my blog about the personal challenge I found it to photograph the infamous Dead Vlei for the first time. I tried to express some compositions that I had not really seen before, but I am as yet unconvinced that I succeeded entirely (which means I will need to go back someday). I did like this one - and felt it could be included in this selection. What do you think? I have stayed in some luxurious lodging in various part of Africa, but nothing beats camping on your own. 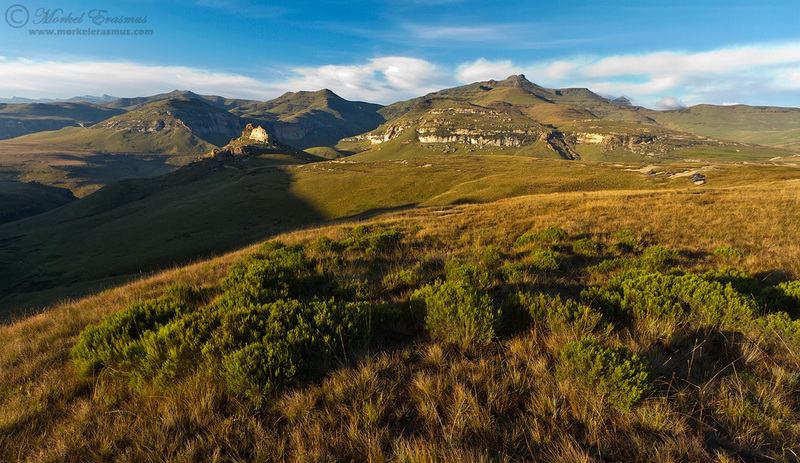 Having to fend for yourself, exposed to the elements, hearing every sound of the night, and being alone with family and friends in a special piece of wilderness, is a feeling that no luxury lodging can compare to or attain. 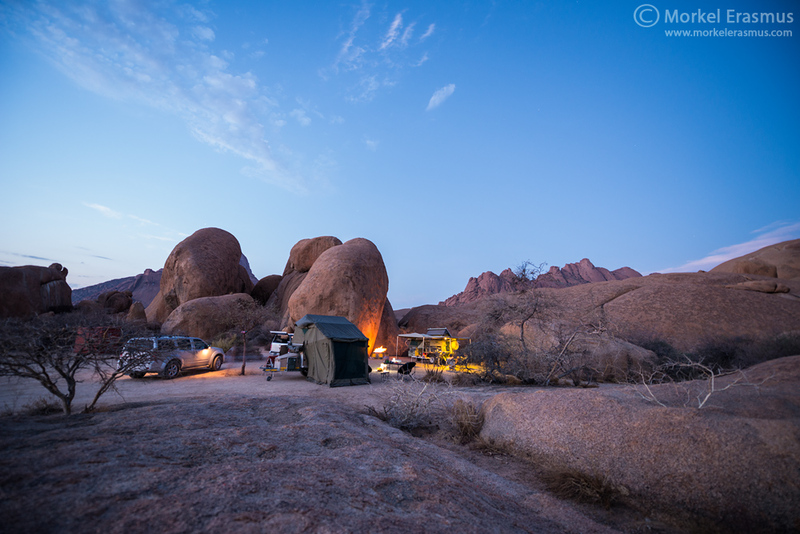 This is our camp at the famous Spitzkoppe in Namibia. I feel very privileged to have been able to take my wife and our children to the wilderness as often as I have. My kids have grown up with an immense love for nature, wildlife and the outdoors as a result of this (they have been to the Kalahari more than they've been to the seaside). 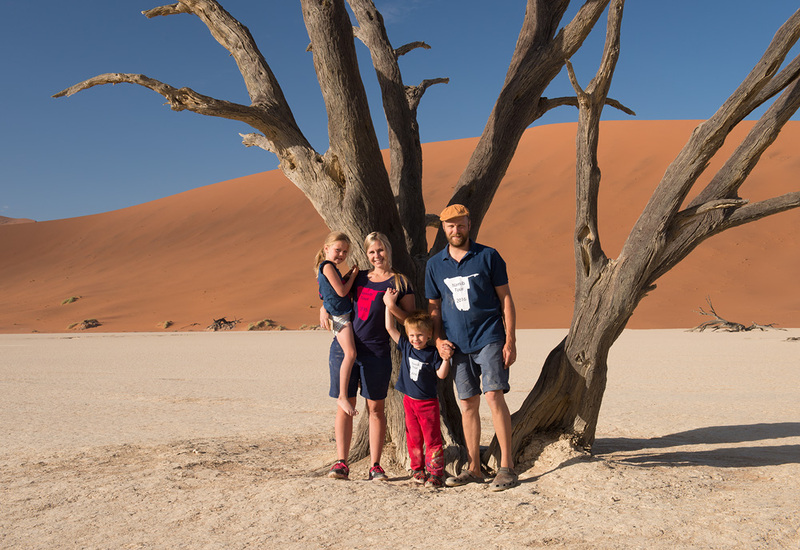 This is a family portrait we took in Dead Vlei - and yes my kids hiked it out there and loved every second of it. There you have it, folks. Like I say upfront on every post of this nature - it's a timeline, memoir if you will, through my year. Yes there may be "better" photos in the archives where I extracted these from, but these caught my eye or have specific significance in terms of memories and moments. The year 2017 will see me travel a lot less for photography, for reasons I will divulge soon. That does not mean I will put the camera down or not use any opportunity I can to capture more images, though! I trust you have enjoyed these musings and images. I also trust that you look forward to your own journey in 2017, and where it may take you. Thanks so much for following along on mine!